This weekend was another super fun one, so I thought I’d share some pics from it with you…. Friday we went out for a lunch with the work team as one of our lovely ladies is heading off to a new job. The food was pretty average but this halloumi starter was lovely! The chap and I headed over to Herman Ze German for the last #YelptoberFeast event and we had such great food! 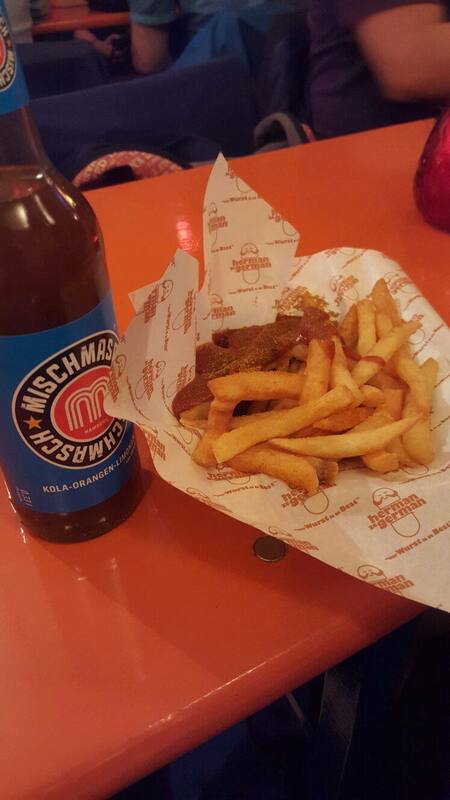 We had the best currywurst I’ve ever had, and that’s saying a lot considering I ate LOADS in Berlin! 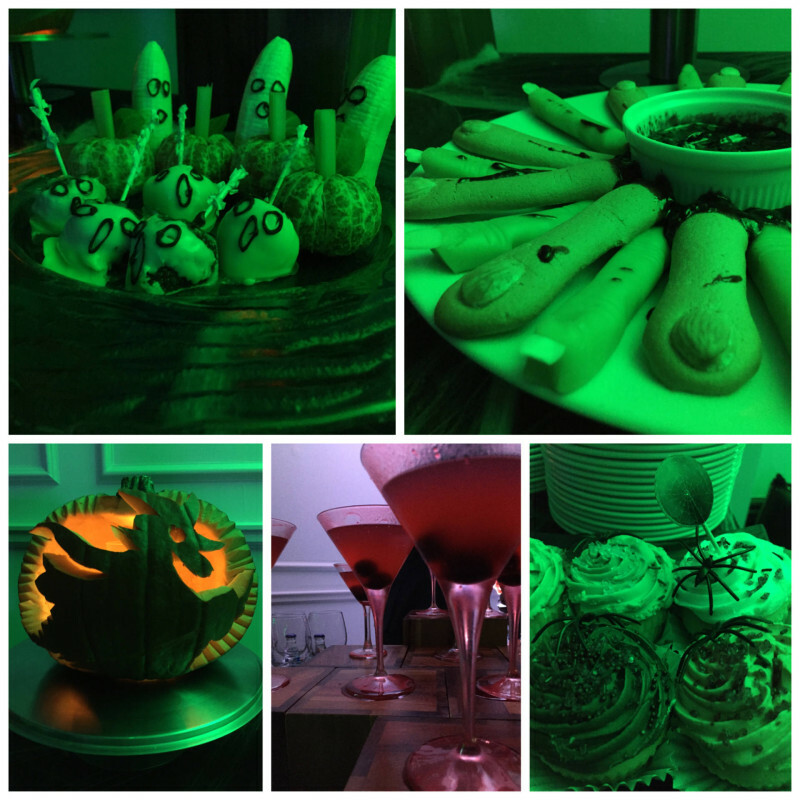 On Saturday I had the pleasure of working with GLH Hotels on their #ThistleHalloween event, and I just need to give them a huge shout out for all the effort they put in! Look at those amazing finger foods, literally! The hotel really went above and beyond with the scary foods and drinks! 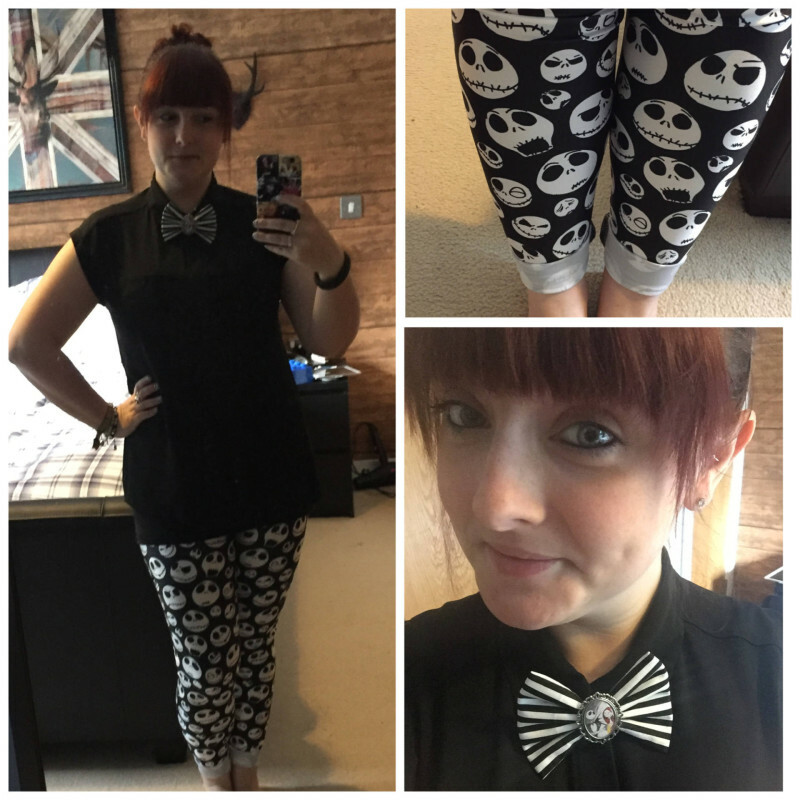 I obviously used this as a good excuse to debut my amazing Jack Skellington Black Milk leggings! I felt suitably spooky! And, of course, I said yes when they asked if I wanted to join in the Halloween face painting! Who would say no to that!? 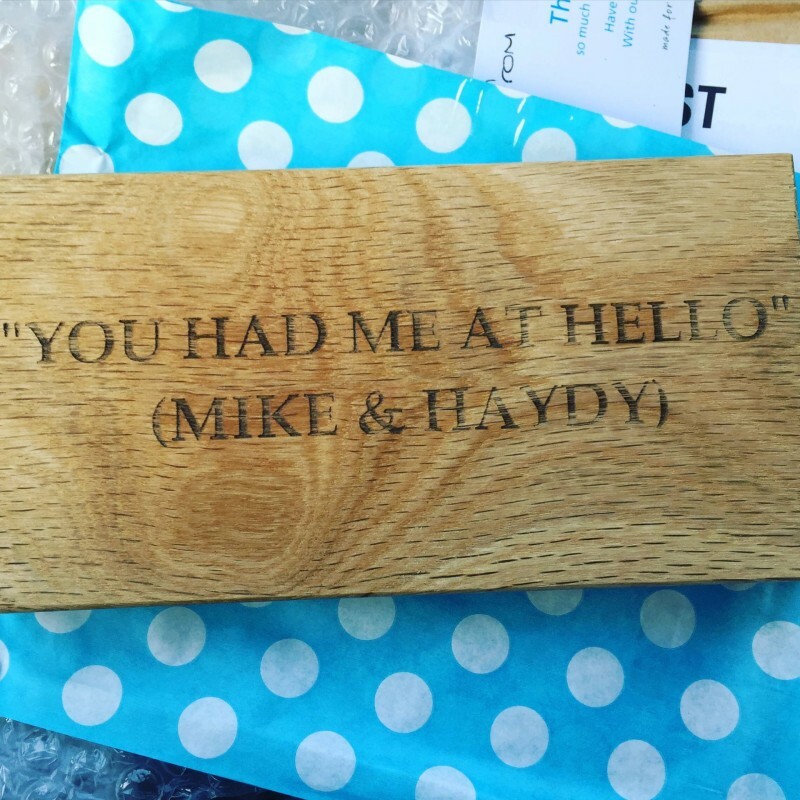 Saturday also saw this amazing gift be delivered from the lovely Penny to celebrate some news we shared with her last weekend… any guesses?! Saturday finished up with film watching and just chilling out, we’ve been so busy lately that we really needed that! On Sunday we spent some time with my mum and grandparents which was really nice and we returned home to have a tidy, well the chap did, I had a nice bath as I was super achey! We then conquered our first roast dinner! Just look at those potatoes!!! So that was our nice little weekend, what did you get up to? 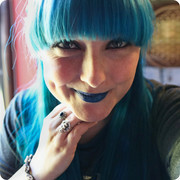 "How to Find Your Bridal Style*"
"Five Things I Love About Winter…"
Looks like you had a great weekend! 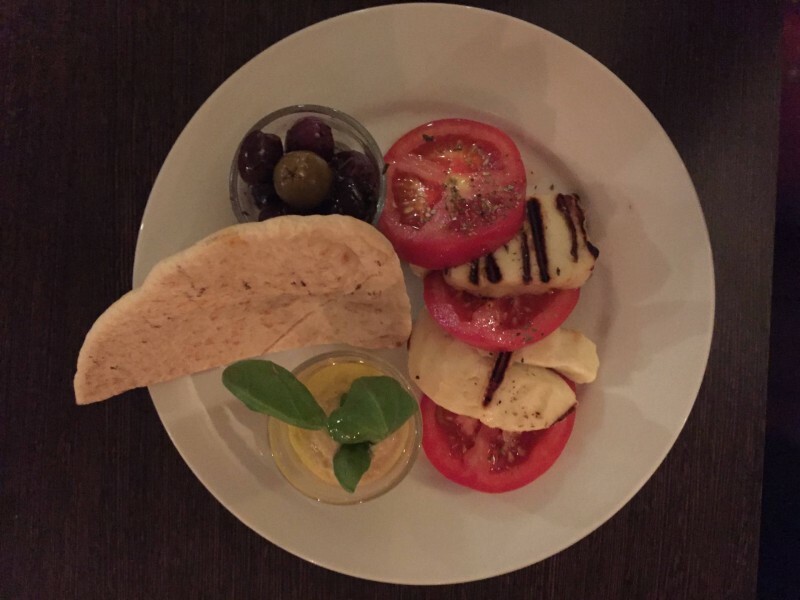 Your face painted looks so cool and all that food looks scrummy- love grilled halloumi! What a fantastic weekend! The #ThistleHalloween event was definitely the highlight! 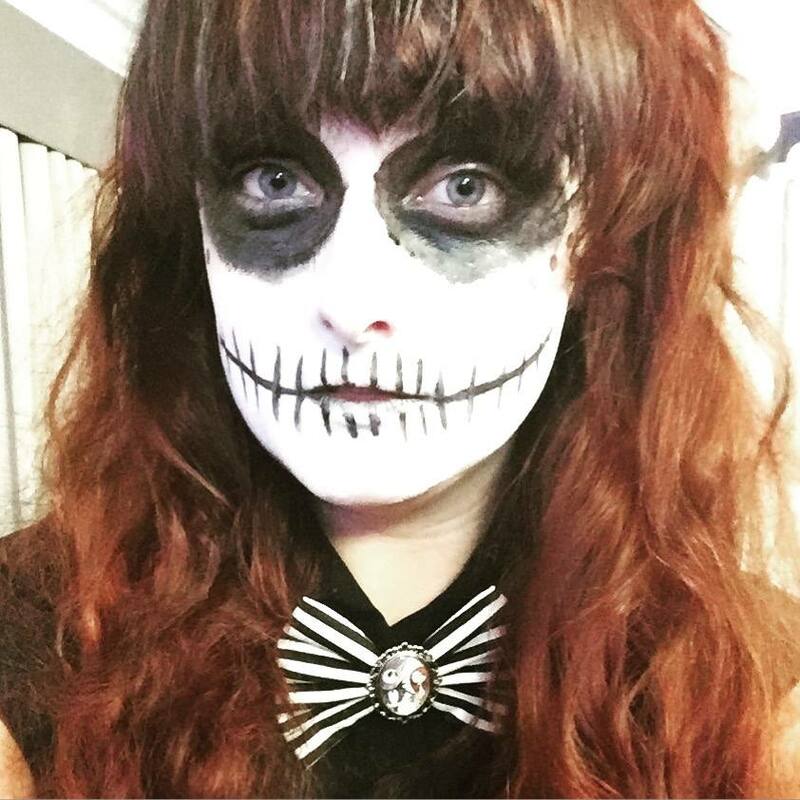 Loved your finished Halloween look! 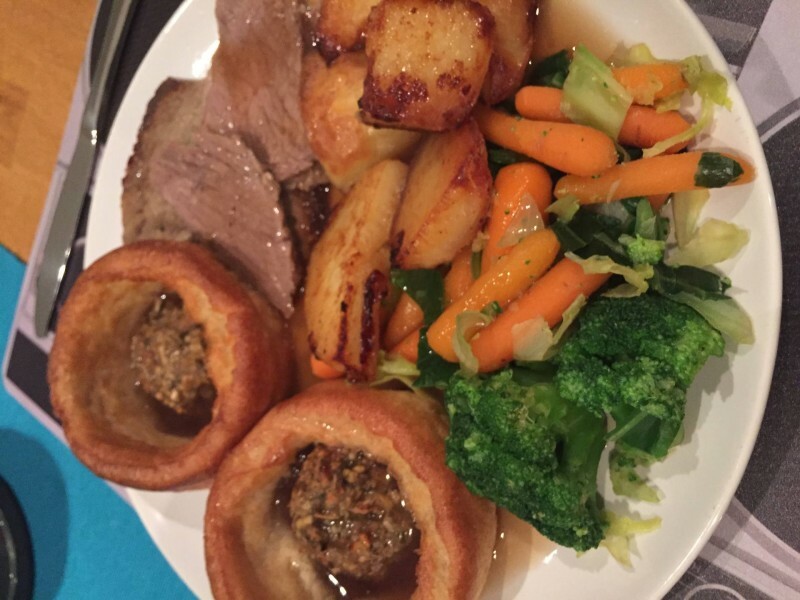 Also, love the looks of that Sunday roast!